This two-headed creature features a dragon head and a head that looks more like a snake. The monster is 4.25 inches tall, 4.5 inches long and 1.5 inches wide. The colors vary among green, red and gray with a yellow underbelly. 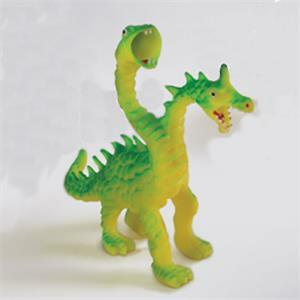 This two-headed creature is recommended as a sandtray / sandplay toy or for more general play therapy. Freestanding.